Білім беру саласындағы PhD(педагогика ғылымдарының кандидаты), 1987 ж.
ССРО педагогикалық ғылымдар Академиясы, Москва, Ресей, білім беруді сертификаттау саласындағы PhD ғылыми дәрежесіне балама, Нью-Йорк 2003ж. Ағылшын тілі мұғалімінің үздік дипломы, 1976ж. Kerimkulova, S. (in press). Accreditation as a means of assuring quality in higher education in Kazakhstan. In Silova, I.& Niyazov, S. (Eds.). Globalization on the Margin: Education and Post-Socialist Transformations in Central Asia (2nd edition). Leask, B., Kerimkulova, S., Tazabek, Sh. (forthcoming). International accreditation and internationalization of the curriculum: perceptions and potential. Parmenter, L., Sparks, J., Li, A., Kerimkulova, S., Ashirbekov, A., Jumakulov, Z. (2017). Internationalizing the Curriculum in Kazakhstan: Perceptions, Rationales and Challenges. In J. Gacel-Avila, E. Jones, G. de Wit (Eds.). The Globalization of internationalization: Emerging voices and perspectives. Routledge International, Ch.16, 182-193. Kerimkulova, S., Kuzhabekova, A. (2017). Quality assurance in higher education in Kazakhstan: A review of systems and issues. In M.Shah, M. & Do, Q.T. (Eds.) The rise of quality assurance in Asian higher education. Elsevier, Ltd, pp.87-108. Kerimkulova, S., Belova, X., Kozhabayeva, K., Syzdykbayeva, R., Myrzabayeva, A., Ospanova, Sh. (2016). Creative use of technology for project-based learning assignment. In Proceedings of International Conference on Education and New Learning Technologies EDULEARN 16, Barcelona. Spain: IATED Academy (refereed conference paper). Kerimkulova, S., Tleshova, Zh. (2016). Multilingual education: Myths and realities. Vestnik, 110 (2), Astana: Eurasian National University, pp. 239-243. Kerimkulova, S. (2015). How English language teachers use computer technology in Kazakhstan: Findings from the survey. In Proceedings of 2015 ICBCB Annual International Conference “7th International Conference, Building Cultural Bridges: Integrating Languages, Linguistics, Literature, Translation and Journalism into Education”, April 23-24, 2015, Almaty. Kerimkulova, S. (2015). Project based learning as a means of developing students' self-study skills. In Proceedings of KazTEA-2015 international conference Excellence in English teaching and research for better learning outcomes, April 28-29, 2015, Kostanay. Kerimkulova, S., Kussainova, Z. (2015). The role of the English language in the context of higher education internationalization. In Extra-linguistic factors influencing acquisition of the state and foreign languages by state employees. Astana: Academy of Public Administration. Kerimkulova, S., Abdrakhmanova, M. (2015). 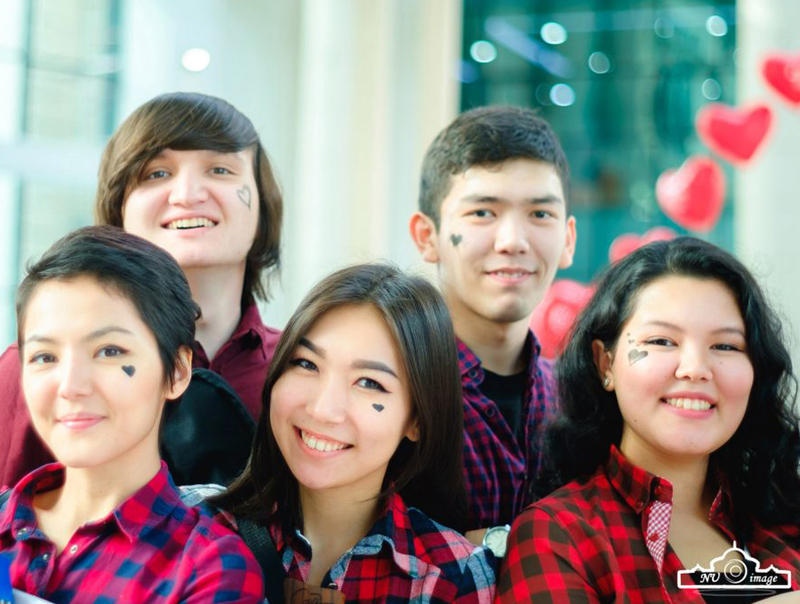 Treating languages in Kazakhstan: A shift from problem-oriented to resource oriented approach. In Extra-linguistic factors influencing acquisition of the state and foreign languages by state employees. Astana: Academy of Public Administration. Kerimkulova, S. (2014). Accreditation of higher education in Kazakhstan: current trends and policies. In Chova, L.G., Martínez,A.L ., Torres, I.C. (Eds). Proceedings of International Conference on Education and New Learning Technologies EDULEARN 14, 7-9 July, Barcelona. Spain: IATED Academy. Kerimkulova, S. (2014). International accreditation in Kazakhstani higher education. In Joint Regional Conference of the Association for Slavic, East European and Eurasian Studies (ASEEES) and the Central Eurasian Studies Society (CESS) conference proceedings, 22-24 May, Astana, Kazakhstan. Yeshengazina, S. & Kerimkulova, S. (2011). Project work in English language classrooms. Teaching manual for developing students’ self-study skills. Almaty: KBTU. Kerimkulova, S. (2011). Internationalization of higher education in Kazakhstan: new trends and developments. In Proceedings of International Conference of Education, Research and Innovation, 14-16 November, Madrid, Spain. Kerimkulova, S. (2010). ICT and Educational Reform in Kazakhstan. In Proceedings of Canada International Conference on Education CICE 2010, April 26-28, Toronto, Canada. Kerimkulova, S. (2010). ICT in ELT in Kazakhstan: Teachers’ Beliefs and Practices. In Proceedings of the Second Asian Conference on Education ACE 2010 Internationalization or Globalization? December 2-5, 2010, Osaka, Japan. Kerimkulova, S., Afsal, M., Shamatov, D. (2018, March). Evaluation of Bolashak International Scholarship in Kazakhstan. Paper presented at 62nd Annual Conference of Comparative and International Education Society (CIES 2018) “Re-Mapping Global Education: South-North Dialogue”, Mexico City, Mexico. Goodman, B., Kerimkulova, S., Sparks, J., Montgomery, P., & Jonbekova, D. (2018, March). Building Academic Genre Knowledge in Multilingual Contexts: The Case of a Kazakhstani University. Paper presented at 62nd Annual Conference of Comparative and International Education Society (CIES 2018) “Re-Mapping Global Education: South-North Dialogue”, Mexico City, Mexico. Goodman, B., Kerimkulova, S., & Montgomery, P. (2018, May). Development and transfer of academic genre knowledge across three languages: The case of a Kazakhstani university. Paper presented at the Multilingualism and Education: Interdisciplinary and International Perspectives conference, Oslo, Norway. Montgomery, D. P., Goodman, B.A., Kerimkulova, S., Jonbekova, D., & Sparks, J. (2018, May). What Kind of Paper do You Want from us: Developing, supporting, and transferring genre knowledge in Kazakhstani higher education. Paper presented at the Foreign Language Teaching and Applied Linguistics (FLTAL) conference, Almaty Kazakhstan. CohenMiller, A., Kerimkulova, S, Shamatov, D. (2017, March). Kazakhstan Higher Education Leadership Professional Development Program: A Preliminary Study . Paper presented at the 61st Annual Conference of Comparative and International Education Society (CIES 2017) “Problematizing inequality: The promise of comparative and international education”, March 5-9, 2017, Atlanta USA. Kerimkulova, S., Tleshova, Zh. (2017, February). Multilingualism: How multilingual students understand and perceive it (2017, February). Paper presented at Kazakhstan Educational Research Association (KERA 2017) conference “Trends in Eurasian Educational Policy and Practice”, NUGSE, Astana, Kazakhstan (in collaboration with Zhibek Tleshova). Kerimkulova, S., Project-based technologies as an effective means of student-centered teaching approach (2017, February). Paper presented at Kazakhstan Educational Research Association (KERA 2017) conference “Trends in Eurasian Educational Policy and Practice”, NUGSE, Astana, Kazakhstan. Kerimkulova, S. (2016, March). Impact of international accreditation on internationalization of curriculum: A case study from a Kazakhstani university Paper presented at the 60th Annual Conference of Comparative and International Education Society (CIES), Vancouver, Canada, Kerimkulova, S. (2016, June). Teaching language skills: What makes this process enjoyable and effective? Paper presented at KazTEA XIII annual international conference “Creating the future with EFL: Celebrating 25 years of Kazakhstan’s independence by looking forward”, June, 16-18, 2016, Ust-Kamenogorsk, Kazakhstan. Kerimkulova, S. (2015, March). Challenges of PhD candidates with the requirement of the impact factor publication Paper presented at the CIES 2015 conference “Ubuntu! Imagining a humanist education globally”, Washington DC, USA. Kerimkulova, S. (2015, April). How English language teachers use computer technology in Kazakhstan: Findings from the survey. Paper presented at 2015 ICBCB Annual International Conference “7th International Conference “Building Cultural Bridges: Integrating Languages, Linguistics, Literature, Translation and Journalism into Education”, April 23-24, Almaty. Kerimkulova, S. (2015, April). 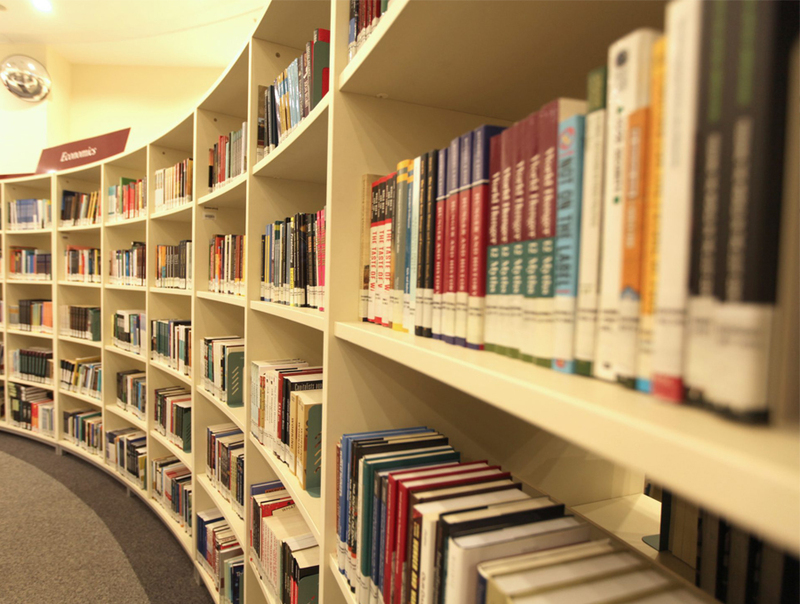 Professional development for EFL teachers: A path to excellence in teaching and research. Plenary presentation at KazTEA-2015 international conference «Excellence in English teaching and research for better learning outcomes», April 28-29, Kostanay, Kazakhstan. Kerimkulova, S. (2015, April). Project based learning as a means of developing students' self-study skills. Paper presented at KazTEA-2015 international conference «Excellence in English teaching and research for better learning outcomes», April 28-29, Kostanay. Kerimkulova, S., Kussainova, Z. (2015). The role of the English language in the context of higher education internationalization. Paper presented at the round table Extra-linguistic factors influencing acquisition of the state and foreign languages by state employees. Astana: Academy of Public Administration. 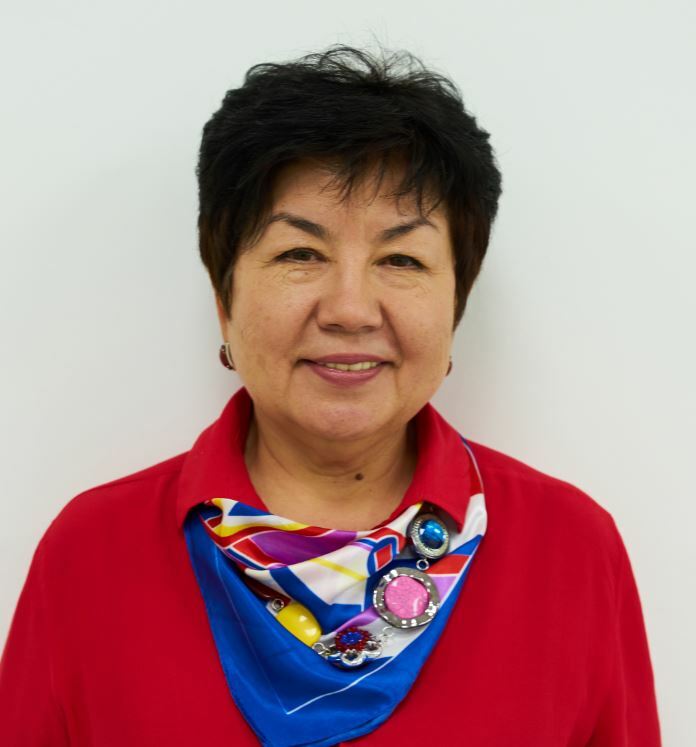 Kerimkulova, S., Abdrakhmanova, M. (2015)– Treating languages in Kazakhstan: A shift from problem-oriented to resource oriented approach. Paper presented at the round table Extra-linguistic factors influencing acquisition of the state and foreign languages by state employees, Academy of Public Administration Astana, April 2015. Kerimkulova, S. (2014, July). Accreditation of higher education in Kazakhstan: current trends and policies - Paper presented at presentation at the 6th International Conference on Education and New Learning Technologies (EDULEARN14), July 7th-9th, Barcelona, Spain. Kerimkulova, S. (2014, April). Want to become a leader? There is a way to it. Plenary presentation at the KazTEA 14 - Kazakhstan Teachers of English Association conference “Educational leadership in EFL context”, Shymkent, Miras University, April 25-26, 2014. Kerimkulova, S. (2014, April). What if?...Dealing with different situations in EFL classroom – Paper presented at the KazTEA14 conference “Educational leadership in EFL context”, Shymkent, Miras University, April 25-26, 2014. Kerimkulova, S. (2013, November). 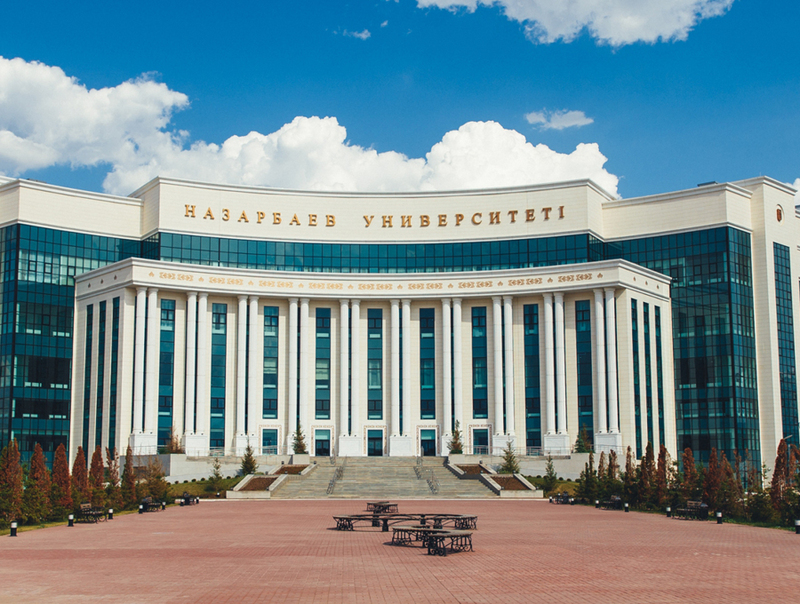 Nazarbayev University – new vector of higher education development in the Republic of Kazakhstan. Plenary presentation at the Republican scientific-and theoretical conference “Seifullin’s Readings-9: New vector of higher education and science development”, Kazakh Agro -Technical University, Astana. Kerimkulova, S. (2010, April). ICT and Educational Reform in Kazakhstan. Paper presented at the Canada International Conference on Education CICE 2010, April 26-28, Toronto, Canada. Kerimkulova, S. (2010, December). ICT in ELT in Kazakhstan: Teachers’ Beliefs and Practices. Paper presented at Proceedings of the Second Asian Conference on Education ACE 2010 Internationalization or Globalization? December 2-5, 2010, Osaka, Japan.